I cannot believe that March begins tomorrow. I could have used another week of February, but there’s no stopping it. Let’s jump right in to this month’s successes. Super Bowl weekend was both productive and amazing. I made the Tiny Princess a cheerleading uniform, and our team won the big game, despite a season of challenges and naysayers. 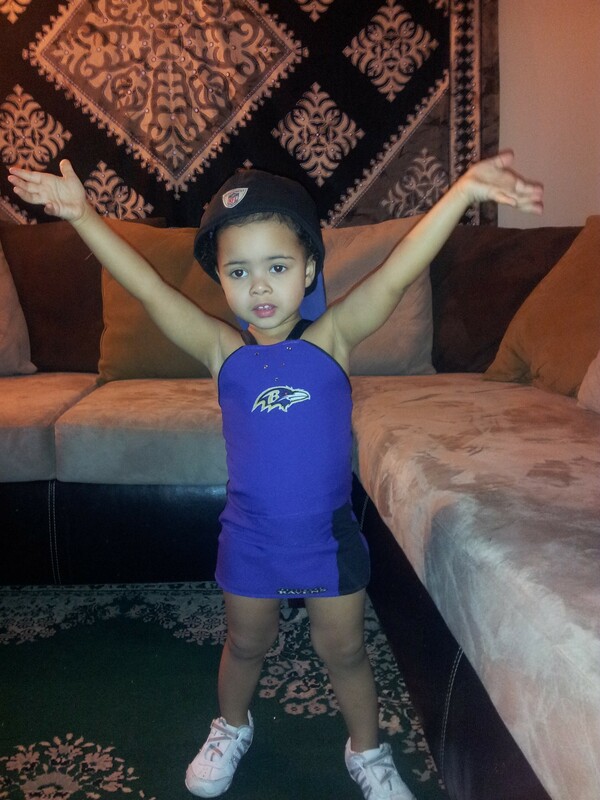 Go Ravens! The two-piece outfit was constructed with purple polyester, black jersey, hot-fix crystals, iron-on Raven decals, and black twill tape. Subtracting the time it took me to chase the Tyrant around the house for fittings, this took about an hour. For the top and bottom, I folded over the fabric into a tube, cut neckline shapes, and darted to fit. I realized that the tubes were going to be less than comfy, so I added jersey panels, hemmed both pieces, then added straps and decoration. She was so cute. 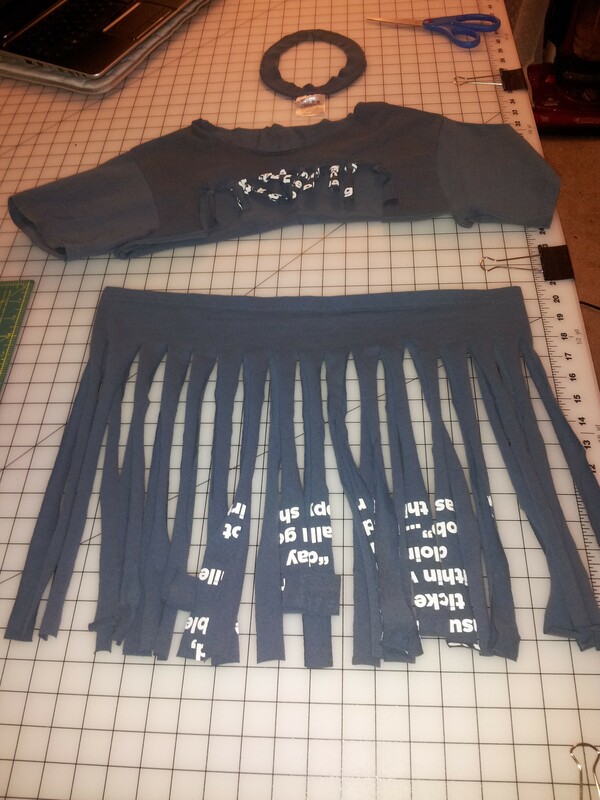 While I was in dance-y dance mode, I chopped up a t-shirt to make some hip fringe, a shrug, and a headband. The only tools I used were my clear acrylic ruler and rotary cutter. It’s a casual item and a nice break from sitting at the machine. Continuing my preparation for this month’s bellydance performance, I completed a second pair of test pantaloons, the performance pair, and the bra base. I picked up some great trim and a possible ruffle skirt fabric on a trip to Jomar. I’m not entirely sure how it’s all going to work together, but I’m over-the-moon excited to see what the end result is. 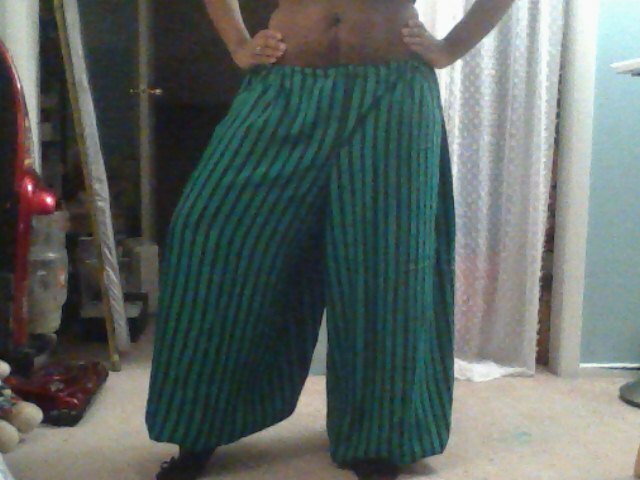 The pantaloons are beyond huge, and I may need to cut them down for safety reasons. The problem is that I love them because I can bunch all of the bulk to the back like a bustle. We’ll see what happens. Late one night, my Tiny Dancer decided that she wanted a tutu for dance class…nine hours away. Luckily, Mommy’s fabric stash holds a wide variety of stuff. I don’t even remember buying black and mauve tulle, since they’re not fabrics I normally work with. Yet again, I’m very proud of my buying habits. I can shop my stash and come up with a complete ensemble whenever I need to. Baby Girl asked for black, and I was surprised I had it, but there was only enough for half a skirt. The black is two types of netting–one stiffer than the other. 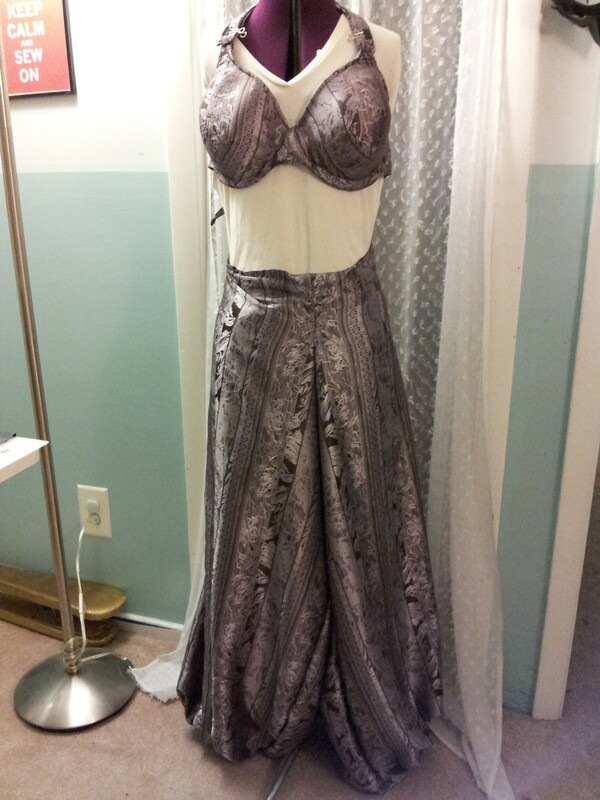 The mauve is part of a remnant that *might* have been picked up for a panel skirt. This month, I also whipped up a serger cover using only…my serger. It was a quick five-sided thing that I draped and stitched in a few minutes. Take that, dust! For my ongoing craft, I made it to the third color in the Fourth Doctor’s scarf. 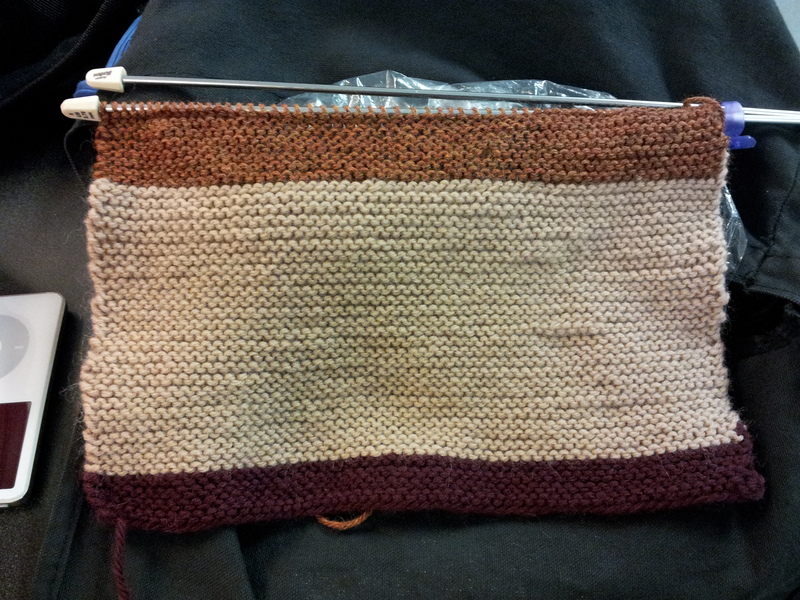 I only had to undo two rows due to a counting error, so I think I’m off to a good, albeit slow, start. Remember, I’m knitting only during lunch breaks to keep my mind off work, so I know this is going to take a long time. As a last minute time-taker-upper, I made a couple of Nerf holsters out of low-quality duct tape and reusable bags. I’m not going to bother posting pictures, just know that I am confident that I could construct a suitable dwelling out of the items in my craft room. Outside of my productivity, I registered for a costuming conference, pre-ordered The Tudor Child, and contributed to Margo Anderson’s Kickstarter project. She’s releasing a set of Italian patterns (underpinnings and gown), and I want them. The project was funded in 15 hours, so she’s already released a stretch goal of a zimarra pattern. It’s similar to the Elizabethan comfort gown set, which I already have, so I’m taking some time to decide if I want to pledge more. February was short, but I stuck to my long-term goals of crafting everyday, trying something new, and putting things in place to travel. 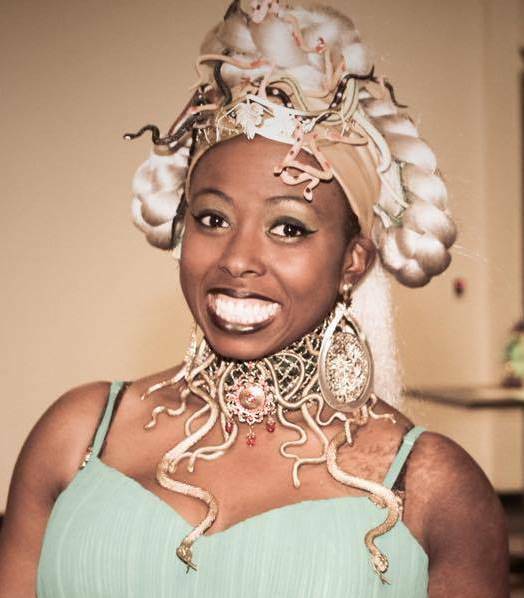 I have a couple of small items that need to be crafted for friends, but my focus for the next two weeks is going to be my performance costume. I just hope that my design fits my choreography. Here’s to creativity because I am feeling it! Thanks for reading!